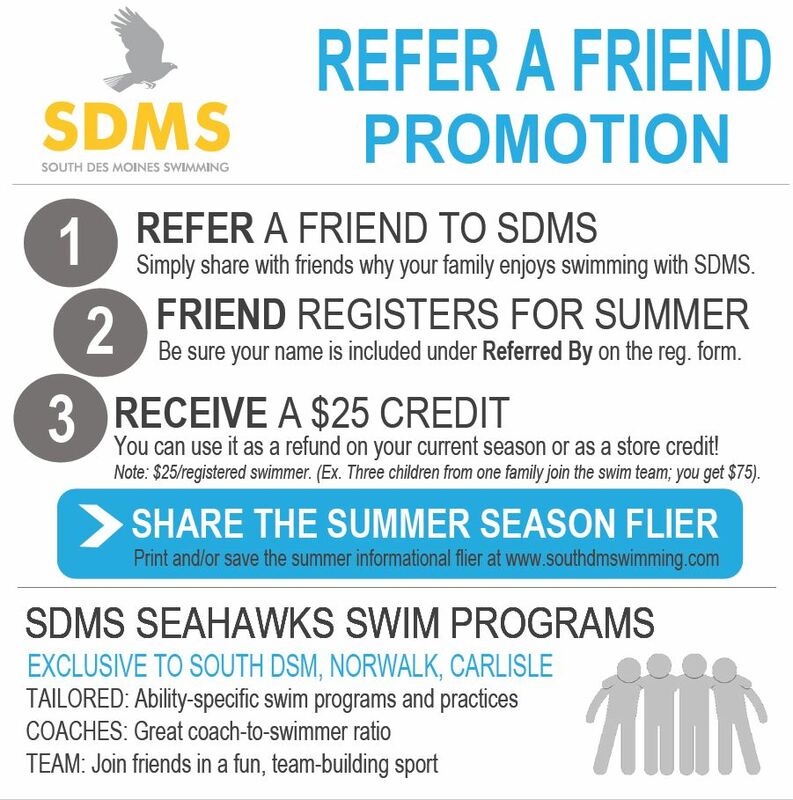 New for 2016 – you can refer a friend to the swim team and earn cash back! Think you might have friends and family interested? Share the 2016 Summer flier to provide more information. You can print and/or save it. Read more about the Refer-A-Friend program below. – Be sure your name is included under Referred By on your friend’s registration form so we can give your cash. – Note: $25/registered swimmer. (Ex. Three children from one family join the swim team; you get $75).